Is there a better alternative to TuneFab Spotify Music Converter? Is TuneFab Spotify Music Converter really the best app in Audio category? 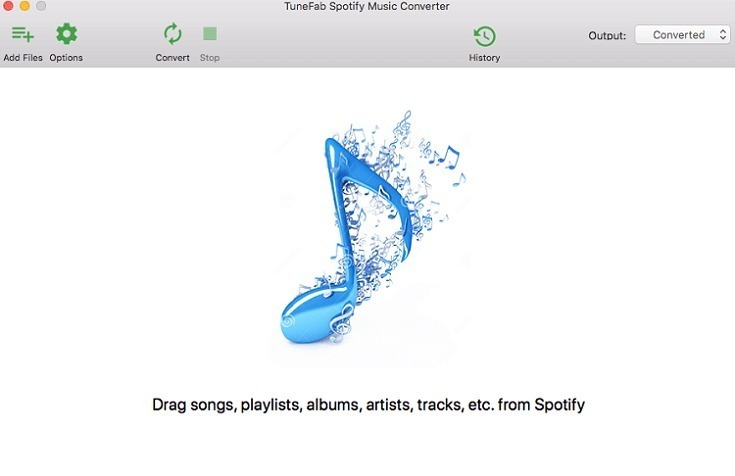 Will TuneFab Spotify Music Converter work good on macOS 10.13.4? 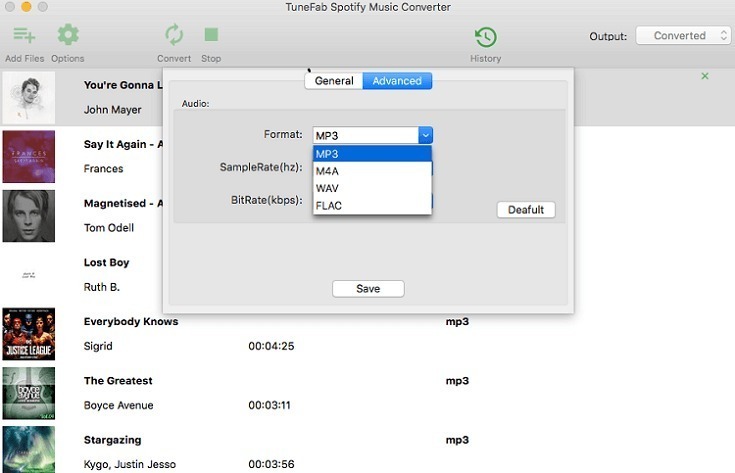 TuneFab Spotify Music Converter offers an easy but professional way for Mac users to get rid of DRM from Spotify Music and convert the protected OGG format into common MP3/M4A/WAV/FLAC, etc. for use on more devices as well as media players. 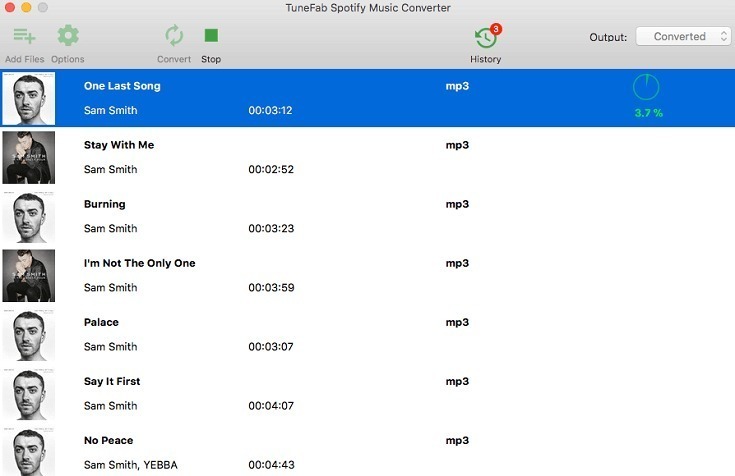 Convert Spotify Music from OGG to MP3 Format You are able to use TuneFab Spotify Music Converter to convert the OGG format of Spotify Songs into common MP3, which is widely-accepted on almost all devices and media players. TuneFab Spotify Music Converter needs a rating. Be the first to rate this app and get the discussion started! Make Spotify Songs Get Rid of DRM Protection TuneFab Spotify Music Converter can deal with DRM encryption professionally. By unlocking the DRM protection added on Spotify songs, users can save the music freely and play them anywhere at any time. Save ID3 Tags and Metadata of Spotify Sons TuneFab Spotify Music Converter can preserve the information of the converted Spotify songs such as the ID3 tags and metadata. So don’t get worried about losing the song's information! Simple and User-friendly Operating Processes The interface of TuneFab Spotify Music Converter is designed to be simple and easy to operate. 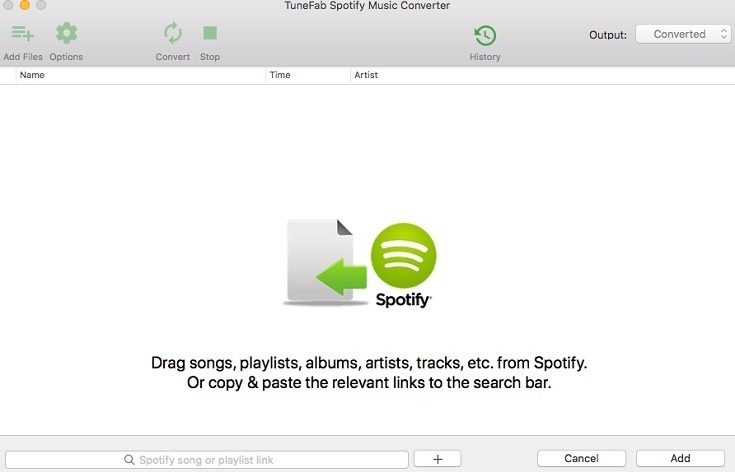 You just need to simply drag-and-drop the Spotify songs and by few clicks, then you can finish the conversion.